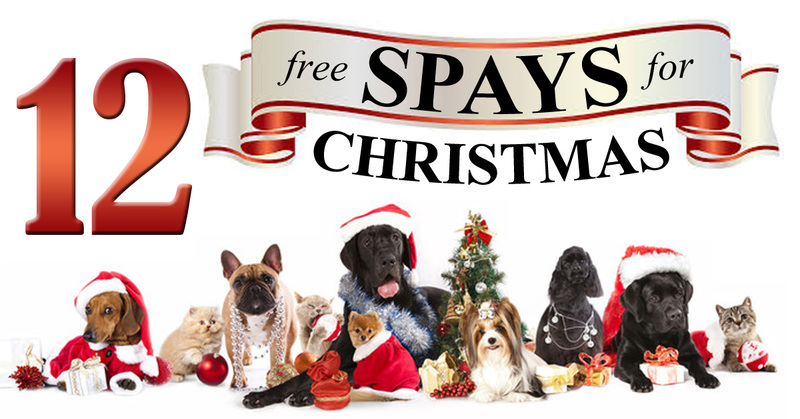 Good Dogma is giving away 12 free spay/neuters for Christmas this year to residents of Eastern Oklahoma County! Enter to win by commenting on THIS FACEBOOK post with 1) a photo of you AND your pet, 2) your pet’s name, and 3) why we should pick your pet to win a free spay or neuter. One winner will be announced daily beginning December 13 and ending December 24. Let the countdown begin! Must be a resident of and provide proof of residence in Midwest City, Spencer, Jones, Harrah, Nicoma Park or Choctaw, Oklahoma. One entry per person. One winner per household. Pets must be individually owned. Not applicable towards foster pets or pets in the care of a rescue group or other entity. Contest begins Nov 23, 2018. Last day to enter is Dec 23, 2018. Twelve winners will be selected and announced in total – one per day beginning Dec 13, 2018. Last winner announced on Dec 24, 2018. Spay/neuters are conducted by the Animal Birth Control clinic in Spencer, OK and cannot be transferred to another clinic. Valid entries are constituted as a comment on this Facebook post including a photo of the submitter and their pet, along with the pet’s name and why they should be selected to win. Winners will be announced/notified on this Facebook post as a reply to the winner’s comment/entry. Winners must claim prize by completing an online form and providing proof of residency within 48 hours of being notified. By entering to win, you are giving Good Dogma permission to use your name, photo and pet’s name in our communications channels including but not limited to newsletters, social media and web site. By entering to win, you are attesting that all information you are providing is accurate and true. Should any information provided be proven otherwise, your entry will be disqualified.